To find a course date simply select a course from the below tabs. On our NLP Business Diploma course you will learn and walk away with some new skills, knowledge and you will come to grips with the basics of NLP. People join this NLP course from all sectors, from all levels in organisations, some self employed, some employed, some Leaders, some professional experts …. the list goes on! On our Diploma in NLP Coaching course you will learn and walk away with some new coaching skills, knowledge and you will come to grips with the basics of NLP. Coaches and Aspiring Coaches join this NLP course from all sectors, from all levels in organisations, some self employed, some employed, some Leaders, some professional experts …. the list goes on! Our 7 day NLP Practitioner course is fun, fast moving, entertaining and totally applicable to whatever you do. We’ll bring it all to life and help you understand how you can use it for personal development and to help others. No prior experience of NLP is required to attend this course. Want to be a Certified NLP Coach? Already a Coach and want to add additional tools to the toolkit? This 4 day course builds on the NLP Practitioner course and helps students utilise their NLP Practitioner knowledge in an NLP coaching context. You’ll become qualified to use Time Line Therapy techniques® and Hypnosis with clients too! 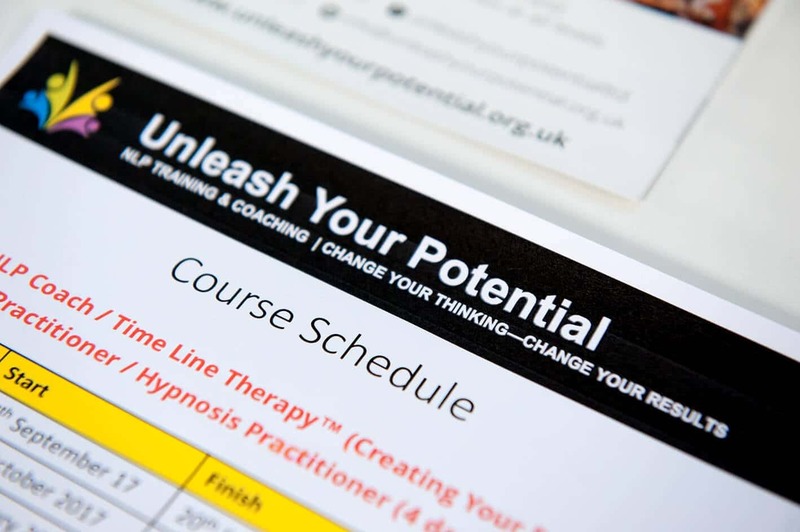 This 14 day programme includes NLP Master Practitioner , Time Line Therapy™ Master Practitioner, Hypnosis Master Practitioner and NLP Master Coach. On our Master Practitioner Course delegates becomes experts in conversational change and many other exciting concepts. Students also learn how to do breakthrough sessions with clients (a 2 day one-to-one coaching/therapy session) which is a product that they can sell after the course. They will also learn the exclusive weight change paradigm – an awesome process with incredible results! A 2 day course open to all our NLP Practitioners, Master Practitioners and NLP Trainers, designed to help you generate more sales, grow your business and be comfortable selling your services and products. How much extra revenue would you generate if you increased your sales by 20%, 30%, 40%, 100%, 1000%? A 2 day course open to anyone looking to set up and run a successful NLP coaching business. If you want to know how I did it and learn from my journey and experience, get yourself booked on! We are delighted to be able to offer our delegates the opportunity to train in a number of skills which compliment the courses offered at Unleash Your Potential. The external trainers that are hosted by Unleash Your Potential are of the highest quality and personally invited by Laura Evans to form part of our wider CPD programme.